Pac-Nor Production Manager Casey Dichter says the Sunnen hone produces a consistency in bore diameter that is much superior to hand-lapping. The Sunnen machine has all but eliminated the standard pre-rifling lap. “You can really tell the difference between a bore that was honed before rifling and one that was [only] lapped”, notes Dichter. The Sunnen hone secures the barrel blank in a 3-jaw chuck, with honing oil pumped into one end while the tool works from the opposite end. Sunnen’s specialized Long Bore Tool uses metal-bond diamond or CBN superabrasives to quickly remove reamer marks, waviness, tight spots and other imperfections left by upstream processes. Honing is an ideal replacement for hand lapping barrel blanks before rifling. It quickly removes reamer scratches and surface waviness without labor-intensive hand lapping. A typical 600-grit abrasive can produce a 6-10 microinch Ra (0.15 to 0.25 µm) finish in a reamed barrel blank. By producing a consistent bore diameter (±0.0001″ or less), parallelism, roundness and surface finish end to end, honing yields more consistent performance from rifling buttons and cutters, resulting in a constant groove depth. The ideal bore geometry reduces distortion of the bullet shape. Pac-Nor cuts and faces premium bar stock, then gun drills on one of five twin-spindle machines, followed by reaming of the blanks. This rack of barrel blanks awaits completion. The company had explored honing in the nineties, but re-visited the idea when Sunnen introduced its HTE honing machine in 2014. The HTE is a horizontal machine that can hone small-bore rifle barrels, with a diameter range of 0.150″ to 0.790” (4-20 mm), and lengths up to 60″ (1,524 mm). Designed specifically for long small bores, the machine features an extremely sensitive drive and tool feed system that provide maximum protection against tool overload/breakage. Tool specific force limits and run settings are stored in the touch-screen PC control, allowing the system to sense tight sections in the bore and correct them automatically. Sunnen also developed a new Long-Bore Tool (LBT) designed to take on industry’s most difficult honing challenges in small bores of .17 caliber rifle barrels. The tool quickly remove reamer marks, waviness, tight spots and other imperfections left by upstream processes. The LBT utilizes metal-bond diamond or CBN super-abrasives for high productivity, long life and fast cycle times. Precision-machined of through-hardened tool steel, the LBT can produce bore accuracies of 0.000027″ (0.0006 mm) for diameter, roundness, and taper – from first part to last. After honing, each barrel is inspected again before rifling with a pull-button. Pac-Nor makes its own Accu-Twist carbide rifling buttons and can provide different rifling styles, including polygonal, per the customer’s choice. A button is attached to a rod and the rod is pulled through the barrel. The company’s hydraulic rifling machine utilizes a CNC-machined twist bar with a helix angle that matches the twist rate requested by the customer. The final twist rate is confirmed afterward using a Barrel-Scan electro-optical twist measurement system. Pac-Nor Barreling is a true custom manufacturer catering to bolt-action rifle shooters. The company’s principle markets are law enforcement, military, competitive shooters and hunters. Started in 1984 by avid shooter and company President Chris Dichter, Pac-Nor is now in its second generation under his son, Casey. In addition to barrel manufacturing, the shop will install the barrel on a customer’s action, or add features such as muzzle brakes or fluting on bolts and barrels etc. The shop runs two shifts per day. A day shift of ten people produces 30-40 custom barrels of different calibers in 416R stainless or chrome-moly steel. A night shift of three people produces one type of barrel — about 50 AR-15 barrels per day for a rifle OEM. Share the post "Sunnen Barrel Honing System Used by Pac-Nor Barreling"
Today is Mother’s Day. There are more than 85 million mothers in the United States, and today is the day we recognize all those ladies who brought life into the world. This Editor lost his mother last July, so this Mother’s Day is particularly poignant — my first without her. Be good to your mother, cherish her, and love her without fail… always. In her latter years, attend to her needs, help her with her health, and take time to bring brightness (and laughter) into her life. Let her know that you appreciate all the sacrifices she made, and that you are grateful for all that she did for her children and family. Photo credit to Grizzly Industrial. 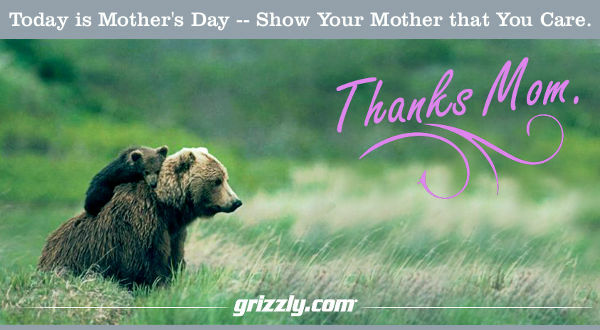 Share the post "A Mother’s Day Message…"
Since this is Mother’s Day, here’s a story about one very special mother — a talented lady shooter who also reared one of the greatest marksmen in history, David Tubb. We expect you’ve heard of David Tubb, 11-time NRA National High Power Champion. Without question, David is one of the greatest rifle shooters who ever lived. What you may not know is that David came from a family of shooters. David’s father, George Tubb, was a nationally-ranked High Power competitor. What’s more (now this may surprise you), David’s mother “Polly” was was a great shooter in her own right. When she wasn’t rearing a future Champion, Polly was hitting the X-Ring at rifle matches. Archive photo courtesy Civilian Marksmanship Program, TheCMP.org. Share the post "Polly Tubb… Talented Shooter and Mother of a Champion"